Warning: there is evidence that GMs collude with exploiters. Maybe it's not the best idea to play this game. This post is part of the BDO Wealth Guide. Since cooking, processing and alchemy needs no energy, the energy bar just fills up. You can use it to replace workers but sooner or later all your workers will be yellow at least. You can use the energy to replace them for orange, you get one for about 1000 energy, but that also involves 200 clicking. Hating to see it go wasted, I looked for a way to use it and found the night vendors. These are special shop NPCs that appear only at night at certain locations. For 50 energy they offer you an item. It's usually a single black stone for a discount. But sometimes you get something nice: While you make about 50K profit for a single stone, a pack of stones is 250K profit. You sometimes get a pack of shards and sell them for 1M profit. 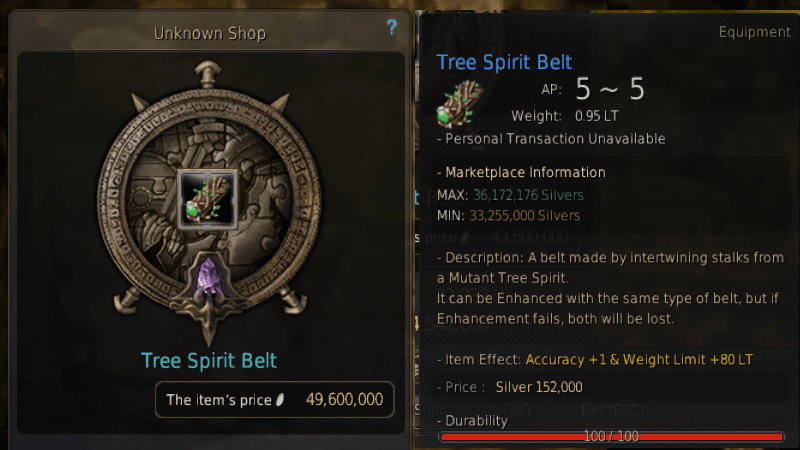 A special weapon that you can sell for 2M profit. Or, you get something ridiculously overpriced. Always mouseover the item to see its market price, buying this would have been a 20M mistake: The night vendor won't make you rich. But it adds a few million a day for a few clicks. Better than just letting all that energy go waste. There is another way of spending energy: gathering river water. You just have to stand into the river with a bunch of empty bottles and click on them. Gathering starts and repeats until you run out of energy. Every 20 seconds you get a 2.3K worth of bottle of river water (410K/hour). Later you can thin it with processing into about 2.3 purified water that costs 1.5K each (another 410K/hour). However processing ore into sellable ingots provide 1M/hour, so doing this isn't a too good idea. Always mind the opportunity cost and bring your energy to the secret shop. The night vendor is probably the best use of energy for alts you have parked in a city to do other stuff with. It's not uncommon to get some blue awakening weapons from him for about 4.5 mil silver, while they sell for 8-9 mil easily. It's not consistent, but it's something. Buy an Epheria rod and enchant it to +3 or +4 (obviously repair it afterwards). It will cost you about 5-7 million to do it, which can obviously turn people off, but with 80-90 durability you will be able to AFK for 8-10 hours easily without interruptions or babysitting. It's perfect for setting up as you leave for work. 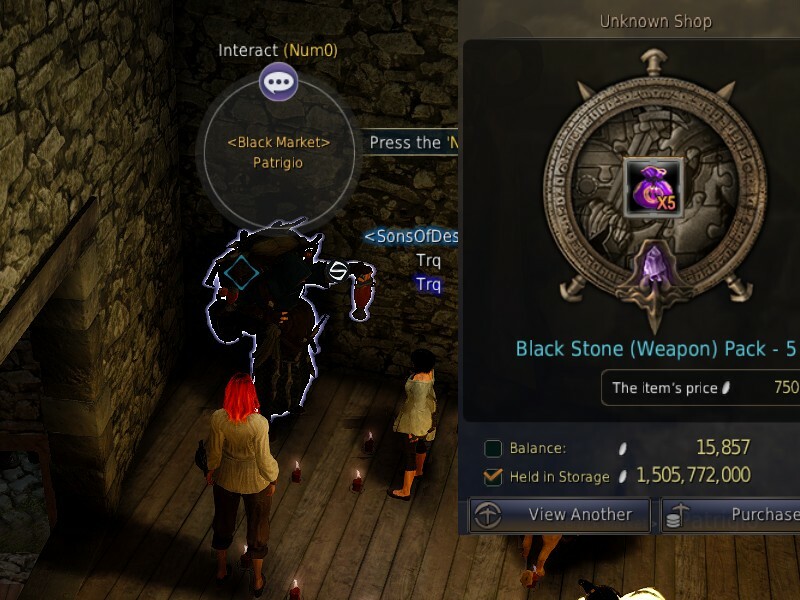 Or you can buy a brand stone for 400 pearls and without any enchanting you can boost a rod (maybe Balenos?) through that. That way you can literally fish until your inventory bursts. Sell the relics you get if you can't be arsed to do the scrolls in groups, and sell the fish for money to restock on beer (or materials to craft it).